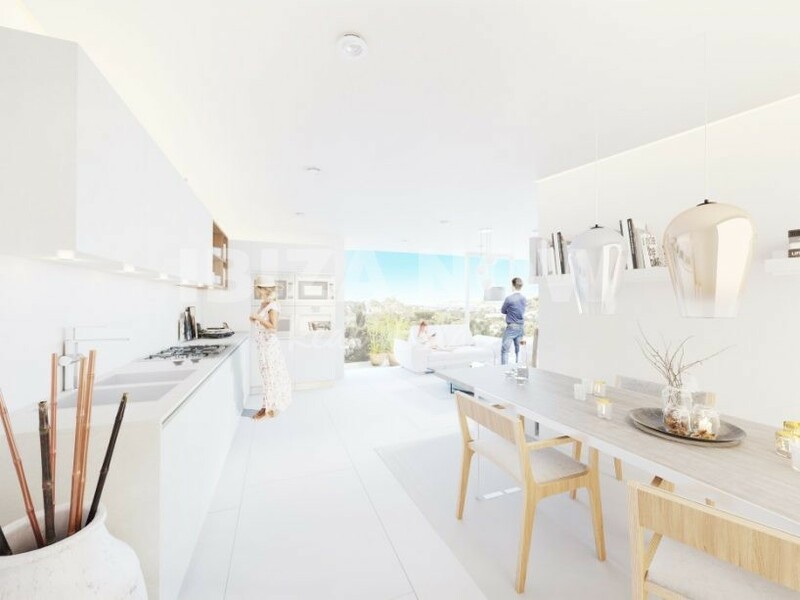 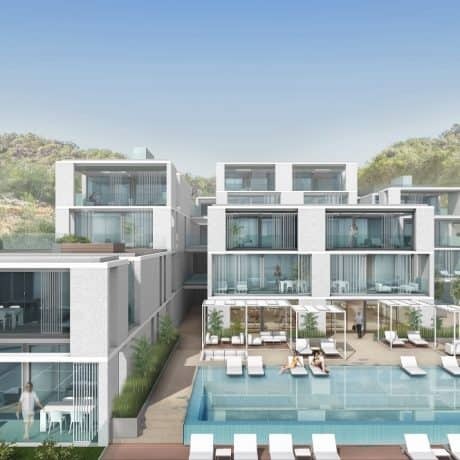 New build 3 bedroom penthouse for sale in Portinax, Ibiza. 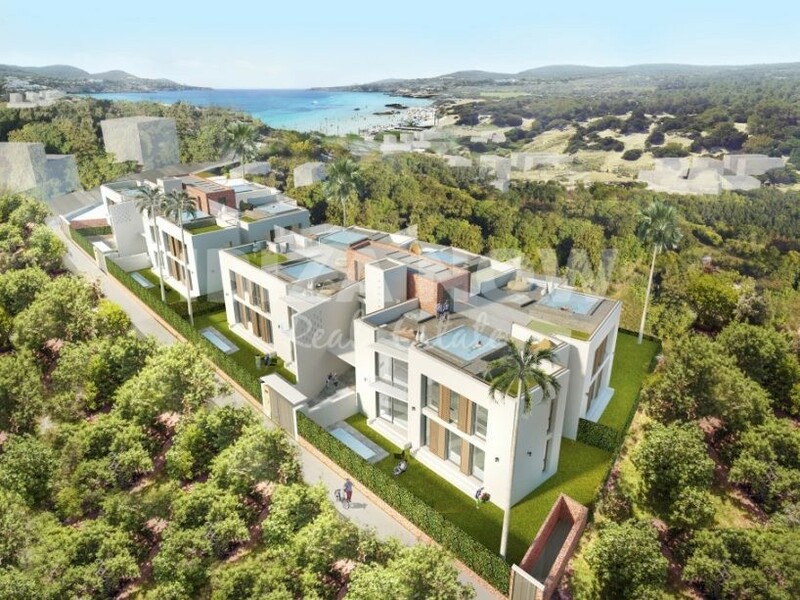 This new to build 3 bedroom penthouse is located in a quiet area and within walking distance to the beach of Portinax. 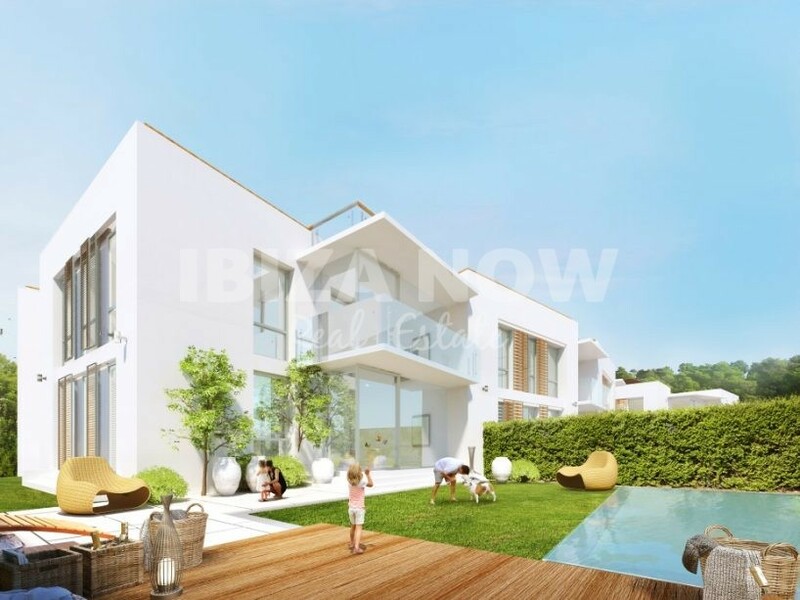 With a total of 91m2 build space and with a roof terrace of 82m2 this duplex penthouse is one of the best in the complex. 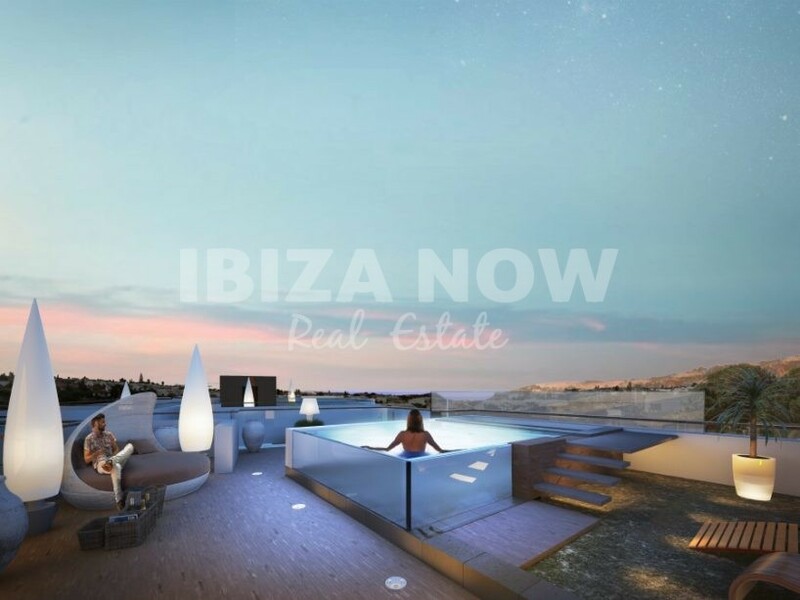 On the roof terrace, there is the possibility to place a large jacuzzi. 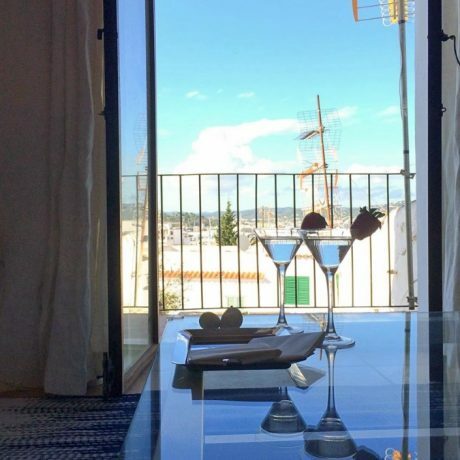 The apartment is South West facing and is built with high-quality materials, build in wardrobes and a fully equipped kitchen, furthermore the apartment has air conditioning warm and cold, double glazed windows and is sold with a private underground parking space & locker. 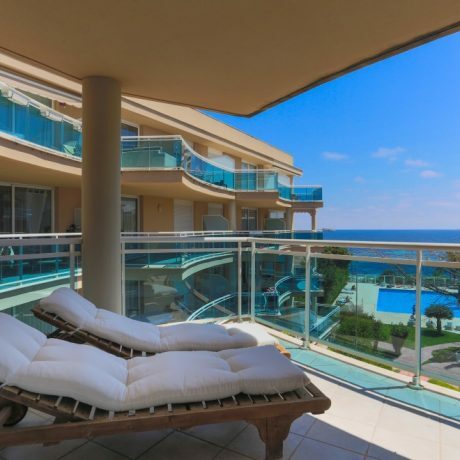 The complex itself has 2 buildings, this penthouse is located in building nr 1. 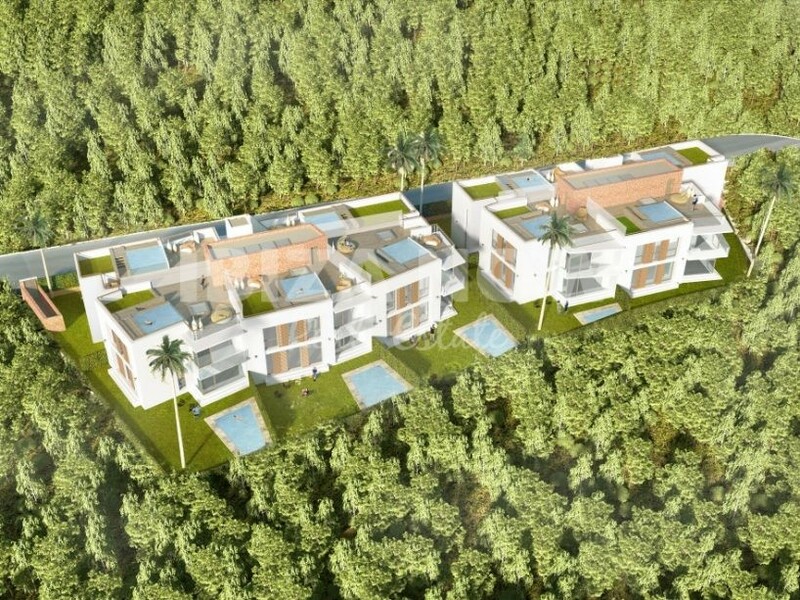 Construction will start in October and due to finish in 2020. 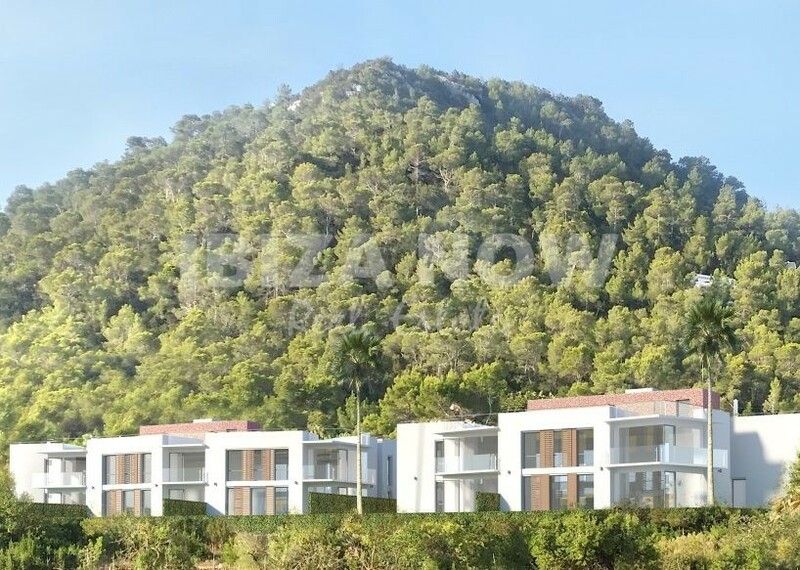 There is a large communal swimming pool, Gym, Sauna, Spa, underground parking, and Tropical gardens.